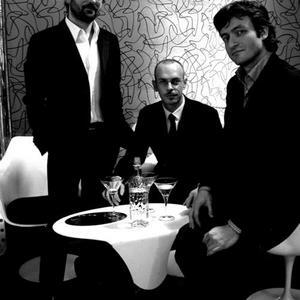 LTC (Pietro Lussu, Lorenzo Tucci, Pietro Ciancaglini) is an Italian trio led by pianist Pietro Lussu. The band members all stars of the Italian jazz scene in their own right and together they combine an experienced, groovy and stylish trio that is an healthy and welcomed addition to the piano trio medium which is one the hardest in jazz as it is so vastly documented. At the club scene the gentlemen have gained fame as part of the Nicola Conte Combo and recorded such albums as ?Other Directions? and Rosalia De Souza's ?Garota Moderna?. Pietro Lussu joined Rosario Giuliani's quartet in 1996 and has played with the best Italian musicians and many foreigners, such as Bob Mintzer and Joe Locke and Philip Catherine. Pietro is also featured as a sideman in more than 20 albums. Their album "A Different View" (RTCD08) is licensed to Columbia Music Entertainment in Japan and released there in late November 2007, elsewhere in January 2008.